This is going to be really great! Where are you sending them for refurbishment? They are going to Mark Gray, very reasonable on the price. I use to use past parts but there is a fair old difference, the parts could have been refurbed at home but I cant do the stainless bit. I will still be a few months plodding away. I really need to get the underseal off so will wait til that is a bit warmer. It is temptimg to get the engine and brakes sorted and drive the car but I will need to resist the temptation. Will be looking into the epoxy mastic. what is the best way to do it and what sort of quantities are needed. will look to do the entire underside and the suspension parts, I was going to have some bits powder coated but will see how they look once painted with the epoxy. So I can get set for doing the underseal work I called CJ autos to order the lifting device for my roller. Sadly they arent making them as they are too expensive?? It is a heavy car to push on its side and whilst getting it over it a challange putting it back on the ground is a bit dangerous. So I have looked at the photos of the device and it is basically a really tall pillar jack with a few extra parts. I think I have figure out how to make one but think that trying to replicate it will be too much so have came up with the idea of using a 60" farm jack as a substitute and fabricate a few adaptors. Another option would be using the bumper mounts as a lifting point but perhaps that would be best with 2 farm jacks one at each end of the car. Hope to be getting more work completed over the summer. I have bought the epoxy for the underside, just need to get on with scraping the old rubbish off and get it on. My hydraulics have come back from refurb but will wait until I have the under side ready before refitting them. Whilst the car is on its side I want to replace the pipes, will be interesting doing the rear calipers with the car on its side. I have also managed to pick up a period FM radio but in needs a good service if anyone can recommend somewhere. 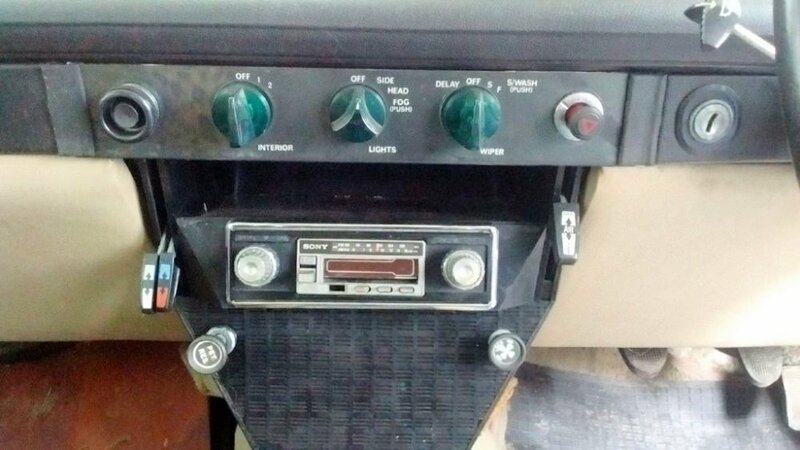 I couldnt find anyone who would service the radio at a reasonable cost. I still have a lot of things to do with the car before going spend happy on a radio. Initially when I found it didnt work I had a look but as I wanted a pro to look at it decided to leave alone to avoid further damage. 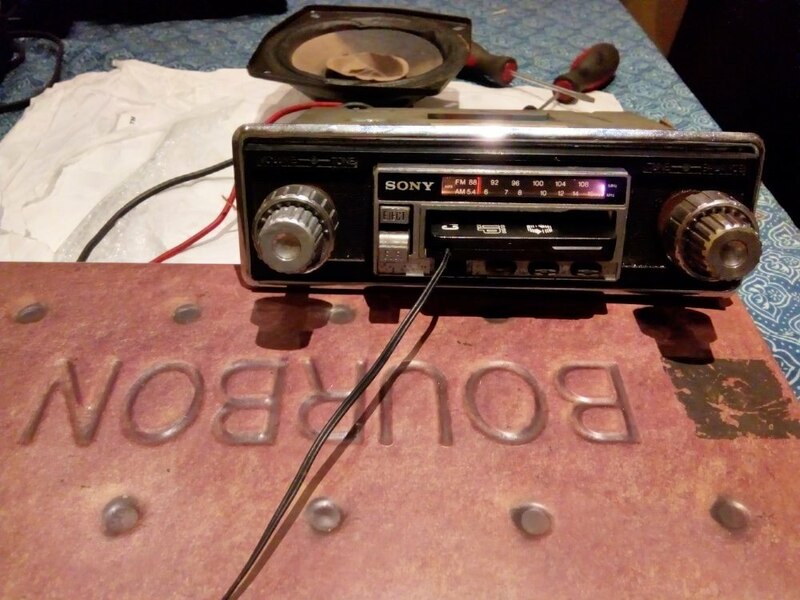 As it has been a while since I touch the P6 I decided to give it a bash, seeing as I have some technical skills and knowing that lots of devices (were car radios ever classed as devices?) fail due to solder drying out or resistors and capacitors blowing all things which can be checked. Thankfully none of the components had blown as it can be difficult to know what values resistors had been. With the original wires in a poor state so I have replaced the power feed and speaker wires. 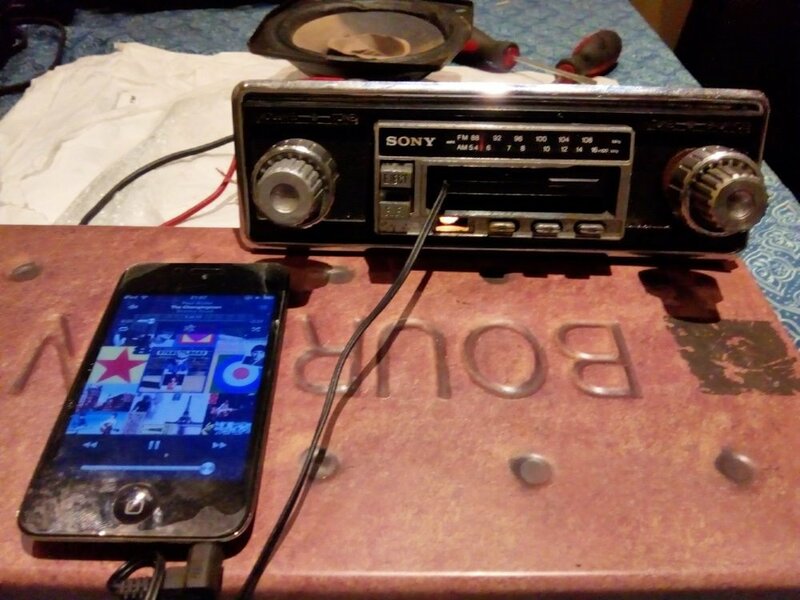 I tried the radio and despite the poor radio reception I get living on a hill I did manage to pick up some stations, I did use a screw driver as an antenna where I was rewarded by Telstar blaring out. 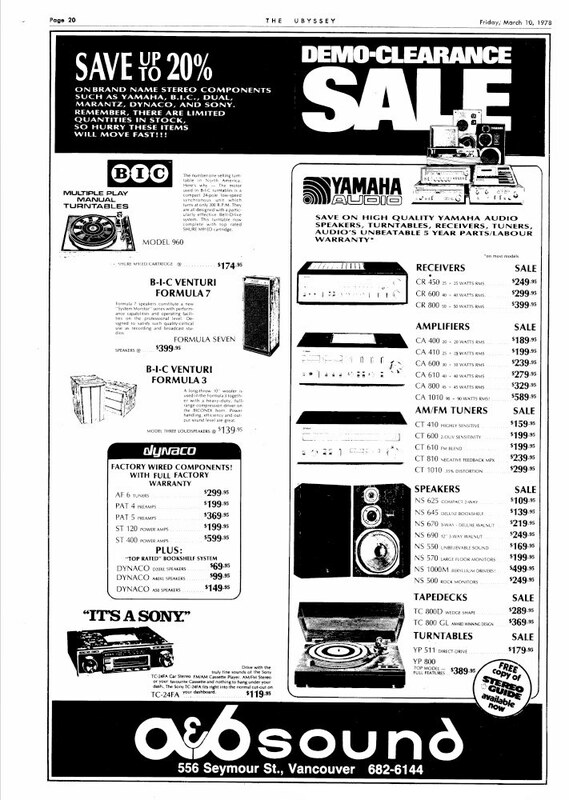 The tape deck was a little more difficult. I couldn't remove the screws holding the motor unit but was able to coax it back to life, a little noisy at first but once running a few drops of oil were added. 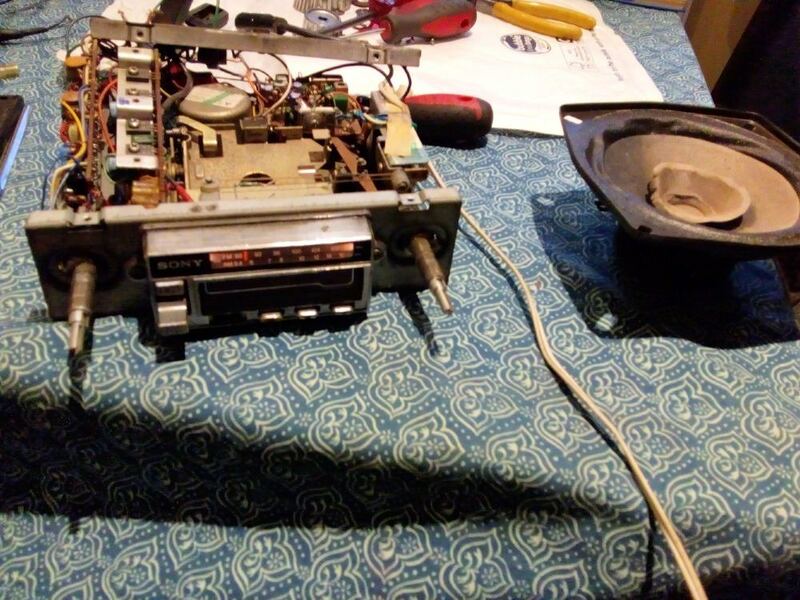 A great invention in technology is the cassette tape with a jack plug cable attached. 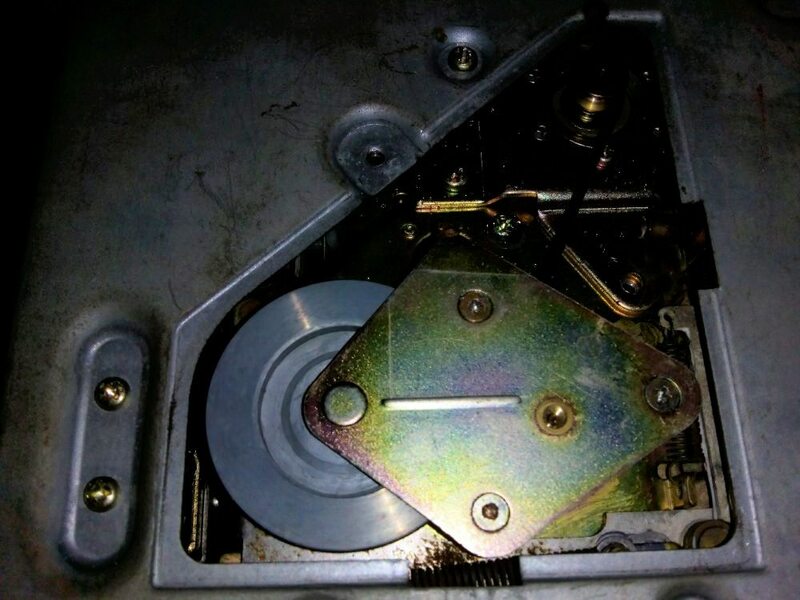 Interestingly even when the motor wasn't running the magnetic reader picked up the Ipod. Great result I think and the sound isnt bad. I notice that this thread hasn't lost the photos hosted on photobucket as yet. I have them backed up and will update them when the time comes. Well nearly 2 years since I have owned this car and still to put it back on the road, I really don't know where the time goes. Hopefully over the summer I can get the base unit sorted out, basically remove the underseal and get some epoxy mastic on it. I really want to get it back on the road and put some miles on it. Cover off and a bit of fresh air. Shocking lack of progress on this project is bothering me. Work and life have been getting in the way and too many projects. The big deal is getting around to removing the underseal and repainted the base unit. I had planned to get it in the garage over the winter and store my p5 in a lock up I got a few months ago. A spanner in the works is that I noticed my other car I have in there got rust all over the new brake fittings so too damp to put a good car in. 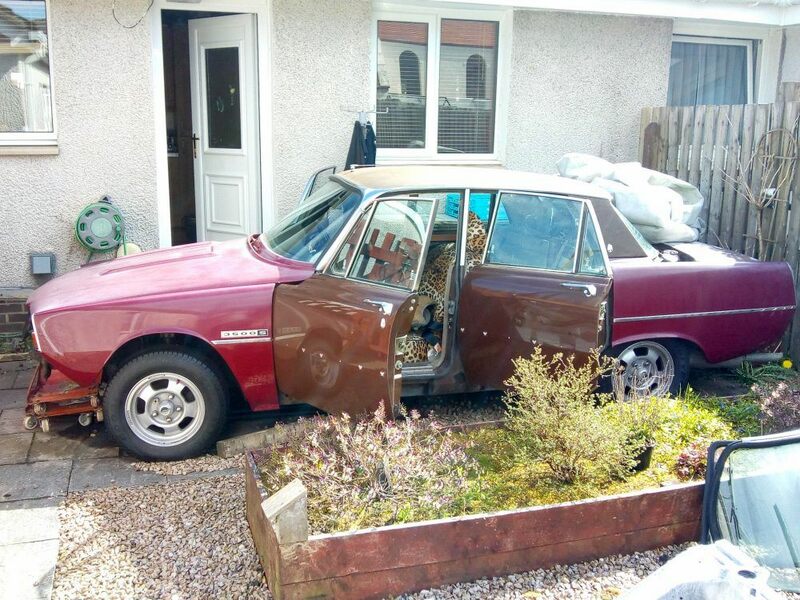 Plan B make be to get the car into the paint shop over the winter, the guy I use isnt the quickest so this could be good and I can sort the underside in spring. A slight problem is the panels, the original panels are good but were stripped to bare metal and left unpainted so have deep flash rust. I had them cleaned up but worried that rust can pop through later, it happened on another car I had painted, little spider legs of rust appeared after a few years. Has anyone tried the strip and dip process on p6 panels? I think they would still need to be sanded down before to remove the pock marks. Also I was tired of tripping over the bumpers which I have been meaning to send away fro re-plating. Took the bull by the horns today and they are in the post. 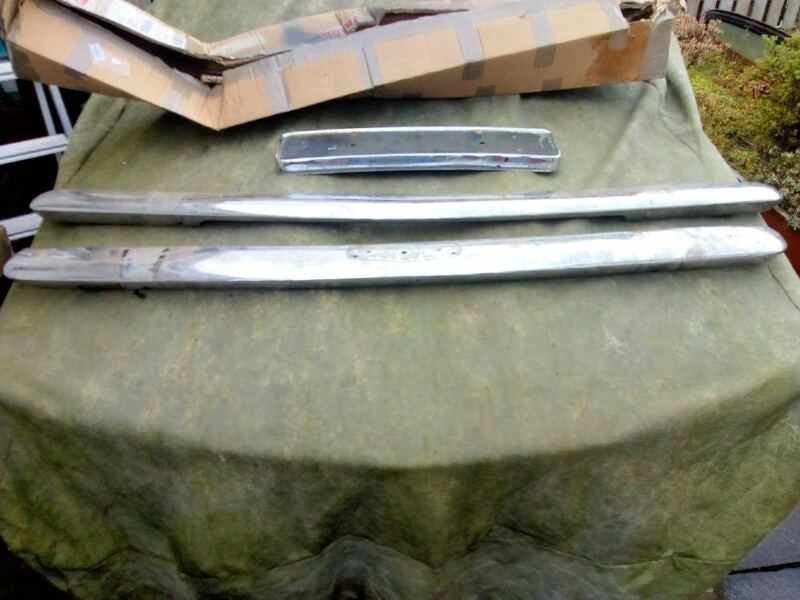 I managed to source a decent set of dent free bumpers and non rusted over-riders a few years ago, chrome was dreadful but will hopefully come out looking like new. Where have you sent the parts for rechroming? Like you, I am increasingly frustrated with lack of progress with my V8 resto. Absolutely nothing done this year as I've been concentrating on giving the 2000 some TLC. I was hoping to start rebuilding the V8 engine this year just as a break from the welding, but time has got away from me. Despite having a double garage there is no room to work around while both cars are in there and I'm loathe to move the 2000 out into the weather to make space to work on the V8. Well not really, but I understand your reluctance to put your P5 someplace where there's a risk of dampness. Perhaps a trip to the NEC next weekend will renew my enthusiasm to crack on over Winter. 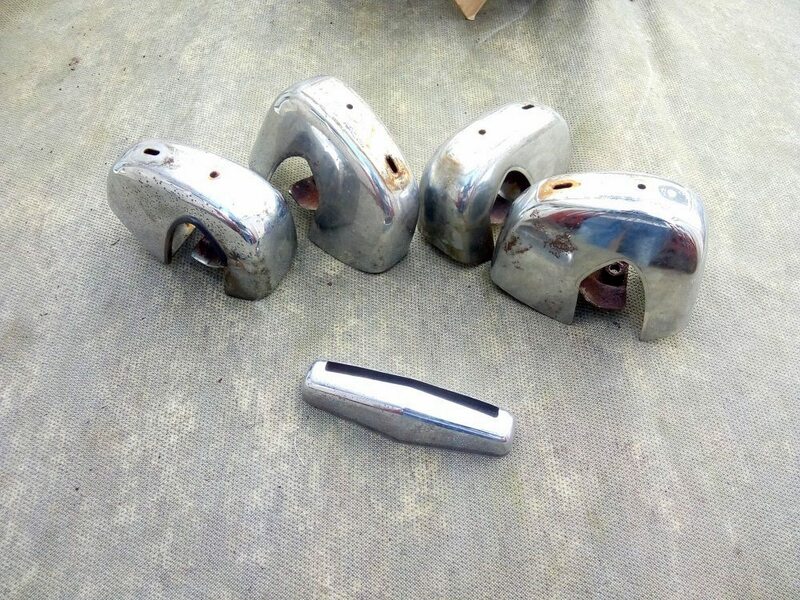 chrome is going to mark gray, Bumpers are £295 and overider £60 each. A local guy I know had some done and they are good. I really have just got to clean up and paint. The first P6 I have had which doesnt require massive welding. So few excuses. As ever slow progress has been made, will need to update the photos as I see photobucket links have finally started to fail. I have been thinking of getting work done and how to go about a few challenges. 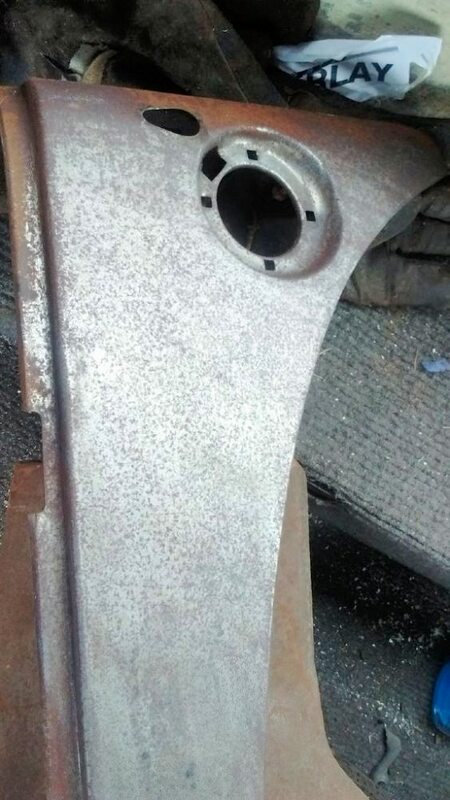 With the original panels I have been looking at dipping or blasting to remove the rust. 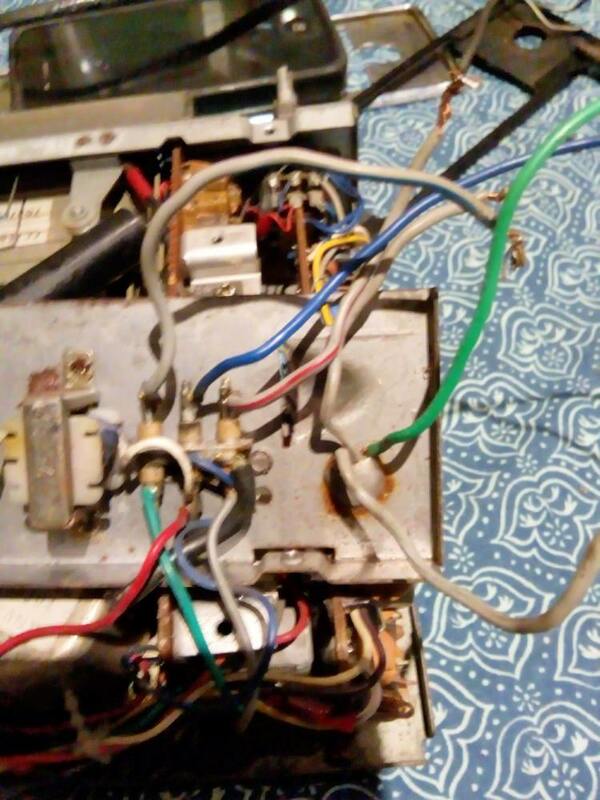 There was an interesting youtube video of DIY electrolysis (rust removal). I used to think it was not practical due to the size of the wings but realised that i could just knock up a wooden frame and thick polythene sheeting for panels. I already have a battery charger with a decent output so could be worth a try. Has anyone tried this? what were the results? Also now I have a working compressor the idea of sand blasting and trying a bit of spray painting are options. When the weather improves and the nights get longer I think I will pull the engine and box out and make a start on the engine bay. Will also get the box checked out and get the engine stripped for inspection. If the rear seal is rope then I will get it machined for a neoprene type. Would be good to get it on the road this year but at current rate of work that isnt likely. Being off the road since 1982 another couple of years wont hurt. I am still considering a colour change to Atlantis blue so this is giving me extra time to change my mind several times. I think I will pull the engine and box out and make a start on the engine bay. Will also get the box checked out and get the engine stripped for inspection. If the rear seal is rope then I will get it machined for a neoprene type. If it's the original engine it should be a lipseal rear main already. Thanks Harvey, that's what I am hoping to find. I want to strip for inspection anyway so not a major problem to check. I expect to find some cruddy oil which will need cleaned out along with the core plugs. I have update my photo links in this thread so it might read better. Back to my wish list, the exhaust will need replaced. Has anyone bought and fitted a stainless one recently? I see wins have them. Might be worth using 'rust eater' type rust remover ? I have de rusted panels using this before - takes a few applications & patience, but even eats rust out of pitting.